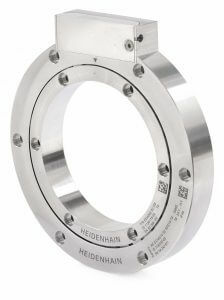 The new hollow-shaft encoder series ECI 4000/EBI 4000 extends HEIDENHAIN’s range of inductive position measuring devices. The new versions are modular devices without integral bearing and a hollow shaft dimension of 90 mm. Users can replace the usual belt drives for coupling a motor feedback system to torque motors. The new encoders boost performance but with fewer components. Apart from the increasing level of automation of a manufacturing plant, improving productivity depends essentially on dynamic and highly efficient drive systems. In addition, to survive in the market, the design of the plants and machines has to be reliable, environmentally friendly and resource efficient. The key to meeting these requirements is electric drive technology. It does its work with little noise, little wear, and usually with low maintenance and next to no loss of performance. In particular, the electric direct drive via torque motor is gaining in significance because it needs no additional mechanical transmission elements in the drive train. Based on its power density and dynamics, it is also often indispensable for achieving the required production throughput. But for this, users need a harmonized and powerful package consisting of a servo amplifier as control device, a drive unit and a position measuring device as motor feedback system. 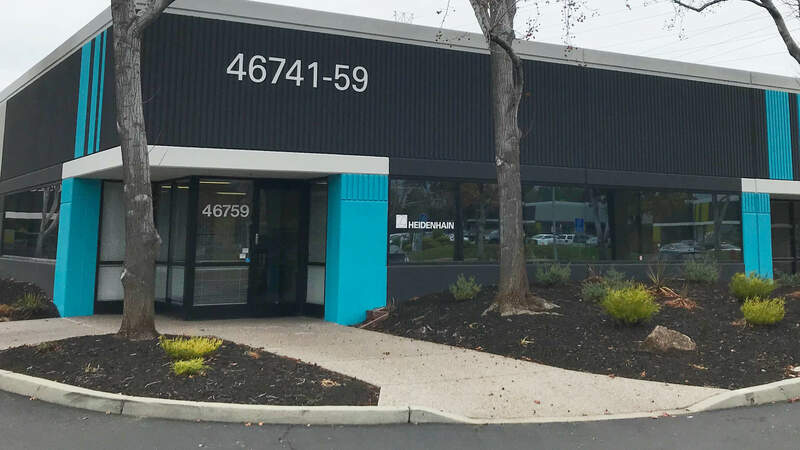 For these applications HEIDENHAIN has developed new, high-performance position encoders in the form of the hollow-shaft rotary encoders ECI 4000 and EBI 4000 (Figure 1). They set new benchmarks in achievable control dynamics, reliability and functionality, thus opening new potential applications for inductive rotary encoders. 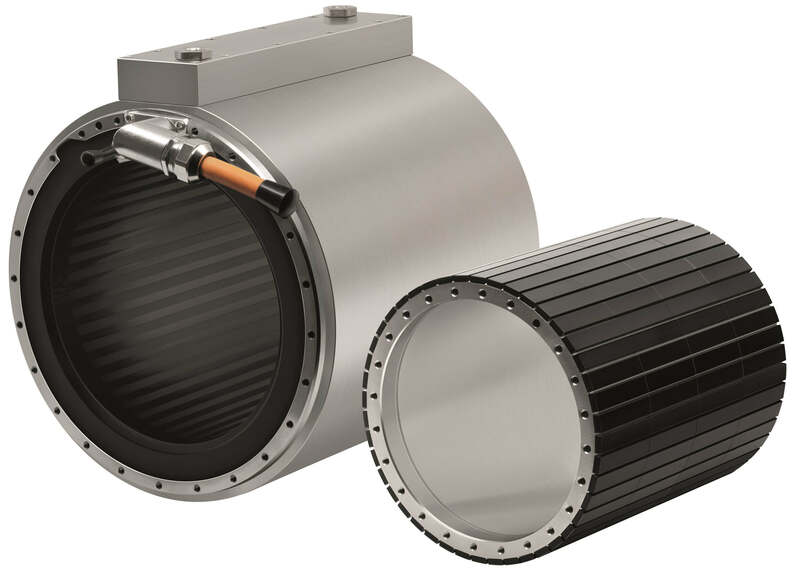 The new inductive hollow-shaft rotary encoders can, for example, replace the hitherto usual belt drives for coupling a motor feedback system to torque motors. At the same time, users obtain a boost in performance. Through the elimination of numerous components, the new hollow-shaft rotary encoders, which are mounted directly, guarantee wear-free operation. The expected increase in control bandwidth ensures a significant gain in dynamics. Furthermore, the new rotary encoders are ideal for other measuring tasks on motors, drive modules and machine components that require a corresponding hollow shaft of the encoder. The ECI 4000 singleturn version has a resolution of 20 bits. Alternatively, HEIDENHAIN also provides a multiturn version in the EBI 4000. This has a revolution counter option with a resolution of 16 bits and an external battery backup. The new series consist of a scanning unit and a scale drum. They have outstanding properties and an overall height of just 20 mm. The positions are read with what it termed circumferential scanning. In this setup, the complete graduation structure of the scale drum (rotor) with the associated scanning band of the scanning unit (stator) is involved in obtaining the position signal. In this way, the rotary encoder evaluates two incremental scanning tracks of differing periodicity. This scanning principle has an extremely positive effect on the mounting tolerances and the positioning accuracy. The compensation of position errors, which occur when the center of rotation of the drive shaft shifts, is done in principle mostly through the all-round scanning. This particular feature is available over the whole speed range up to 6000 rpm. The measuring curve in Figure 2 shows a typical accuracy graph with a radial eccentricity of the drive shaft of 0.2 mm and otherwise ideal mounting conditions. 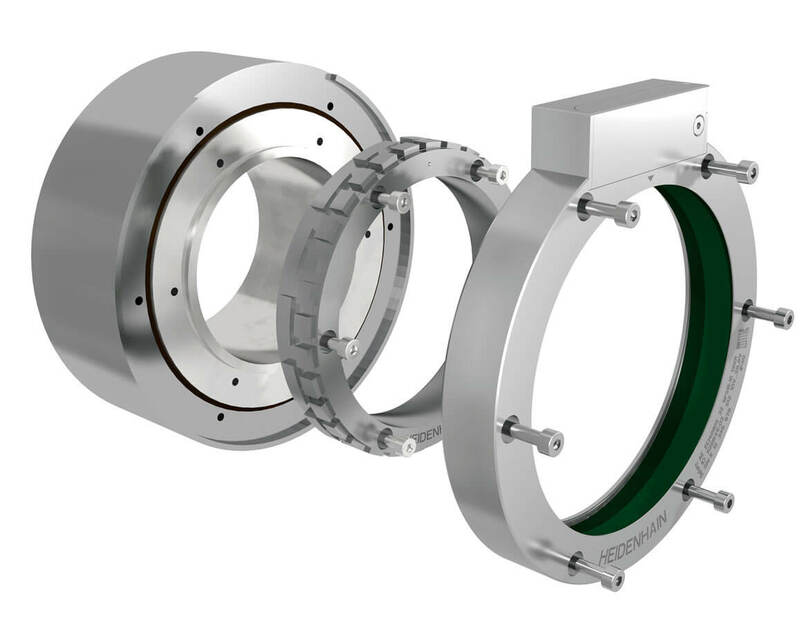 In the case of rotary encoders with a radially positioned, singular scanning point, under identical conditions the uncertainty of measurement is greatly increased due to the laws of geometry. The new inductive rotary encoders ECI 4000 and EBI 4000 are equipped with the digital EnDat 2.2 interface. The power supply range is +3.6 V to +14 V. Typical for HEIDENHAIN, the connection is via plug-in encoder cables. In addition to noise-free transmission, the EnDat 2.2 interface also supports other device-specific functions. These include the transmission of the data of one internal and one external temperature sensor and the supply of standardized valuation numbers for signal diagnostics. The output of these operating parameters in the closed control loop allows permanent monitoring of the encoder status. Additional connections are possible with the DRIVE-CLiQ* interface available as an option for the singleturn version. Certification for SIL 2 applications in compliance with EN 61508 is being planned for the devices. It documents the secure transmission of the singleturn position information. By employing additional measures in the subsequent electronics, users can also raise the security level of the EnDat 2.2 devices to SIL 3. The relevant fault exclusion criteria for a safe mechanical connection are of course part of the certification. The encoders are basically designed to be easy to install and integrate into the applications of motors and machines. Among other things, they fulfill protection class IP40. The rotary encoders have an external and an internal centering diameter on the scanning unit and scale drum respectively. In this way, they can be mounted quickly without any special tools for adjusting and testing (Figure 3) and immediately put into operation. An application-specific axial offset of the scale drum to the scanning unit is tolerated in a range of ±1.5 mm. The maximum drive shaft runout tolerance is similarly generous at 0.2 mm. The operating temperature range of encoders with EnDat 2.2 interface goes up to +115 °C. Thus, combined with the vibration resistance of 400 m/s² for the stator and 600 m/s² for the rotor according to EN 60068-2-6, it supports application as a motor feedback system. This guarantees great robustness—especially when the motor is designed for high performance. 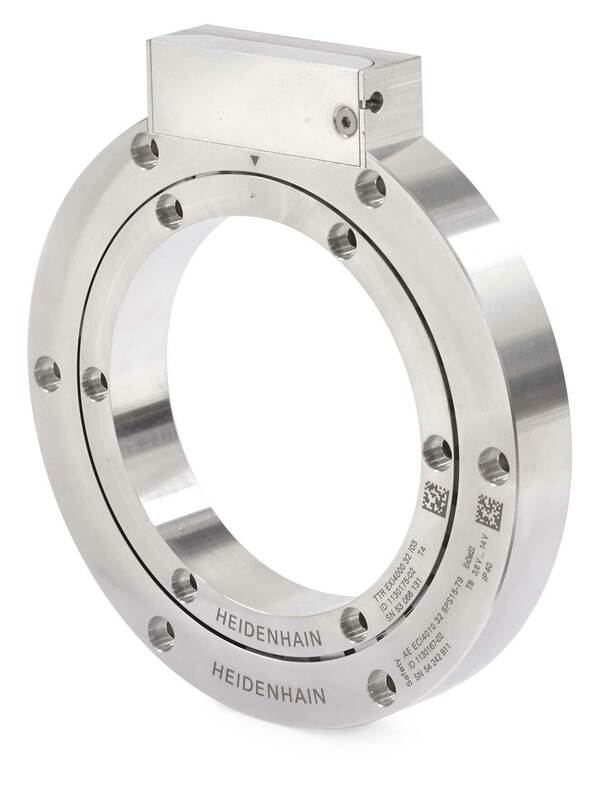 With its new inductive hollow-shaft rotary encoders ECI 4000 and EBI 4000, HEIDENHAIN has extended the field of application of torque motors. The performance data of the rotary encoders set new standards in areas of application in which the key factors are drive dynamics, reliability and functionality.